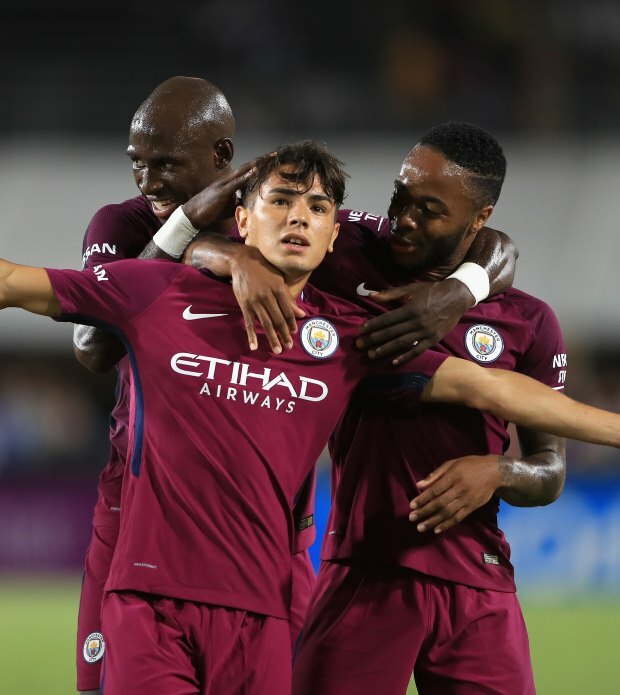 Paris Saint-Germain are trying to tempt Manchester City youngster Brahim Diaz to move to France, but the Spaniard wants to join Real Madrid. Considered one of the brightest young prospects to come out of the Manchester City academy, the club are currently sweating over potentially losing him. His current deal expires next summer and talks over a new contract are yet to reach a stage where a definitive agreement can be reached between the two parties. Real Madrid have been in touch with the player and his representatives and Diaz is claimed to have made up his mind about joining the reigning European champions next summer. But the Spanish giants are facing competition for his signature as according to Spanish daily AS, PSG are also keen on Diaz and have been trying to attract him towards a move to the French capital. The Spaniard has all but made up his mind about moving to the Bernabeu, but his entourage have asked for more time to listen to all the offers, including a new contract from Manchester City. The Premier League champions did plan to loan him out in the summer, but Diaz rejected that plan and continued at the Etihad. Manchester City are gradually losing hope of getting the 19-year-old to sign a new contract and it has resulted in him making just three appearances for the club this season.